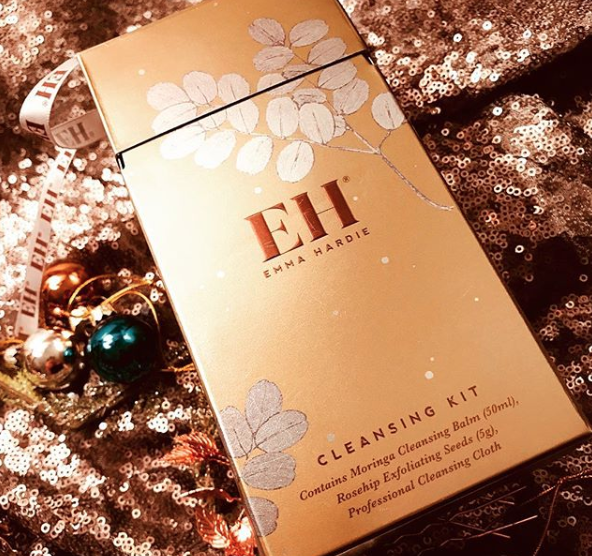 EMMA HARDIE - you know the love is real, a cleanser I have used, respected and raved about for years, so, it's apt I get to share the festive fun on offer from the brand. 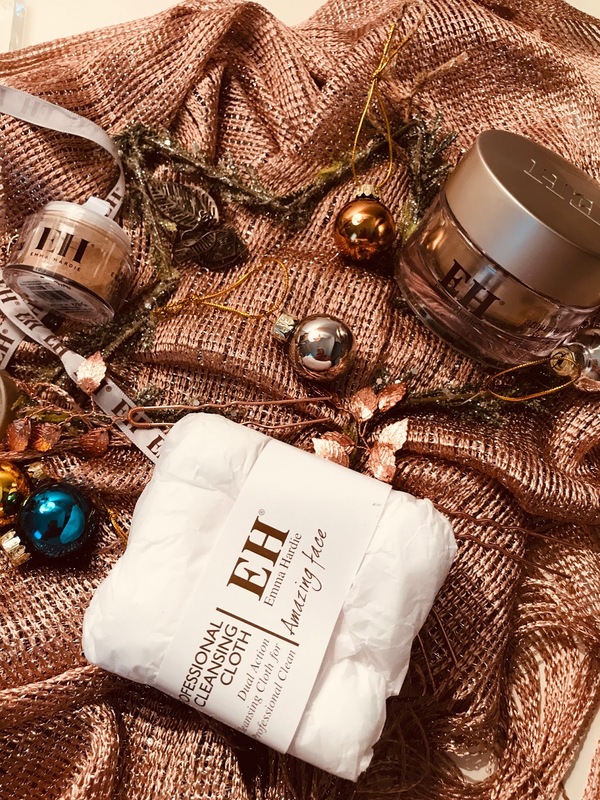 The cleansing kit presented in a cracker style box offers a 50ml pot of the Moringa Cleansing Balm, 5g of Rosehip Exfoliating Seeds and the much-admired Professional Cleansing Cloth. Picture this, Christmas Past, I'm not talking horses and carriages, but, it was a little after the internet created many beauty shopping opportunities and I found this pot of wonderous balm that lifted away my extensive makeup, red lipstick, lashings and lashings of mascara, copious layers of highlighter and bronzer, it was all lifted, massaged away with the cloth and ta-da, clean, refreshed skin. 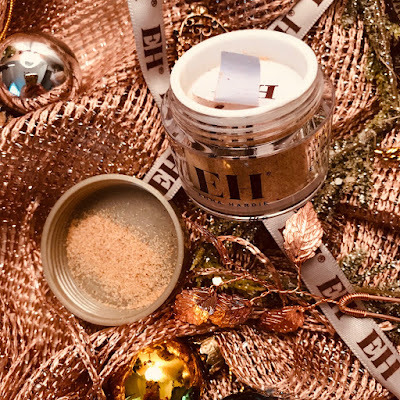 Reliable, doesn't dry the skin and has dual skincare properties, a cleanser, yes, also a hydrating mask, perfect to treat the skin for 10-15 minutes or sleep in it overnight. Now to the little pot of Rosehip Seeds, tiny and fine, these can be added to your scoop of cleanser and work effectively to exfoliate the skin without being abrasive, when I first started using the brand, the rosehip seeds were part of the package, Emma Hardie knew the benefit of these for dry and decongested skin, this is a brand who had its finger on the pulse then and most definitely now. 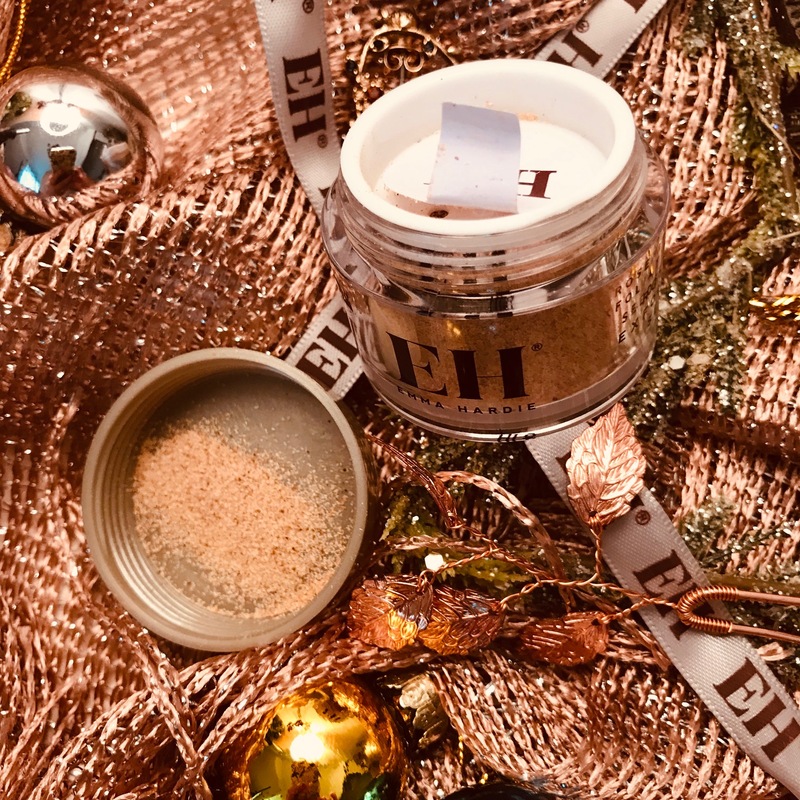 A brand that offers more than one use for their product and then the tools included should be embraced, all cleansers come with the muslin/microfibre cloth. For me personally, the muslin works a treat, it lifts the debris, cleans as it goes. I can't deal with microfibre for cleansing, great for cleaning my taps, but, I just loathe the feeling on my face, it's a personal choice. Both sides, however, offer the cleansing option and the microfibre a softer exfoliator when used. They also wash superbly well and don't shrink, important in the land of cleansing cloths. There is so much more to Emma Hardie now, products that care for your face, neck, upwards and downwards, all effective, all in the iconic packaging with the strong EH font. 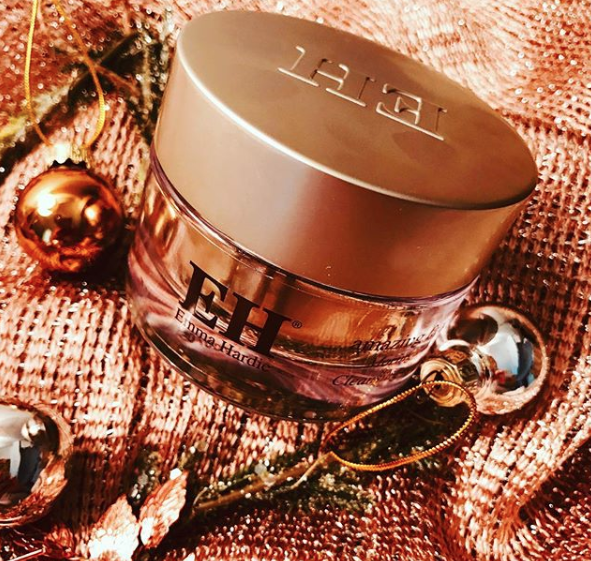 Treat yourself, treat family or friends, remember the rule at Christmas, when you put a gift in your basket you are obliged to put a gift in for yourself!